Please visit our Open House at 35794 WESTVIEW BLVD in Abbotsford. The unobstructed, panoramic views will take your breath away! Gorgeous family home in the exclusive "Highlands" with a legal 1 bdrm suite with a den & a laundry room that rents for $800/mo. The main floor boasts 3 large bdrms & 2 bathrooms.The bright, open concept kitchen & dining area are were designed for watching the kids play in the spacious, fully fenced back yard. Take in the beautiful views of the Fraser & N. Shore Mtn's from the covered patio out back & from the large front deck. Beautiful finishing throughout with tile backsplash that compliments the dark walnut cabinets & S/S appliances, ceramic tile flooring in the kitchen/baths/entry, as well as in the suite. Beautifully kept & maintained inside & out! Please visit our Open House at 42 35626 MCKEE RD in Abbotsford. Exclusive Ledgeview Villas! Luxurious, high end townhome w/ over 2000 sq ft of living space. Exquisite finishing touches throughout with crown moulding, granite, S/S appliances, hardwood, heated tile & 10' ceilings on the main as well as the theatre/rec room. Gorgeous walnut kitchen w/ gas stove & granite counters. Upstairs boasts double master suites & a 3rd bdrm. The second master bdrm has a shared Jack & Jill ensuite & loads of closet space. Walk out to a private backyard with great sun exposure. Home is still under warranty. Sits on a quiet cul-de-sac yet with close access to Whatcom Rd & the Freeway for a quick commute to everything you need! Close to schools, golf course, shopping & dining. If you’re thinking about putting your house on the market this spring, the time to start preparing is now! With persistent cold and blustery weather, it may feel like the spring selling season is in the distant future, but if you begin taking actions now, you can avoid the pressures of last minute preparations. Remember, you’ll be faced with much stiffer competition because the housing market gets flooded with new listings every spring. So, if want your property to stand apart from the competition, it’s going to take extra effort on your behalf. If you want your house to be in good shape when the weather starts to warm up, here are 4 tips to follow. If you have started any home improvement projects this winter, it’s time to complete your work. If you chosse to repaint your walls to a more neutral color, re-carpet floors, it is best to do those things now. If you have any other “fix up” projects in mind as you prepare to sell your home, work swiftly to finish the job(s) quickly. You’ll find a buyer for your home much faster, and the entire process will be much easier if all projects are fully completed before you list your home. This awesome article is courtesy of the excellent Monte Mohr written for Forbes magazine. To learn more about Monte Mohr’s experience as a Nashville real estate agent go to Monte@TheMohrGroupTN.com. I have listed a new property at 2324 SOUTHDALE CREST in Abbotsford. Handyman special, perfect for a rental property or first time home buyer - great place to fix up and gain some equity. Vinyl windows throughout, 2 bedrooms downstairs in the daylight basement and 2 more bedrooms upstairs. Large sundeck overthe double garage. Situated on a quiet street, close to parks. This is a project ready for your ideas seeing how there is some TLC and updates that this home needs. I have listed a new property at 2453 EAGLE MOUNTAIN DR in Abbotsford. Unparalleled quality & craftsmanship! 6258 sq ft on three sprawling levels situated on a 0.26 Acre lot. 5 baths & 5 bdrms; one master on the main with with an amazing ensuite& makeup vanity. The 2nd master up boasts spa like ensuite & its own patio. Open concept gourmet kitchen is a chefs dream. Bsmt features a massive games w/a wet bar, gym, recroom & theatre prewired for 7 zone sound. 20 ft ceilings in the great room with gorgeous southern views. Rooftop patio perfect entertaining. Triple car garage w/outside parking for 8 cars/RV/boat. Absolute highest quality finishing & details throughout every inch of this home. To view house plans/concepts visit Realtor's website. Live the dream! Call for your private appointment. I have sold a property at 34928 MARSHALL RD in Abbotsford. I have sold a property at 2084 LYNDEN ST in Abbotsford. Updated Rancher with a full basement! Great starter home with 3 bedrooms up and a 1 bdrm+den (possible 2nd bdrm) in -law suite downstairs. Newer roof, windows, flooring & freshly painted throughout. 7000 sq ft lot with a flat, fenced backyard, great for kids and pets. Nice tall hedges out back provide lots of privacy. Access the sundeck through sliding glass doors right off the kitchen - it's covered and great for year round use. There's even room to park your RV! Located close to Abbotsford Regional Hospital & popular Mill Lake Park. Call today for your personal viewing! SURREY, BC – The Fraser Valley Real Estate Board’s Multiple Listing Service® (MLS®) recorded 1,102 sales in February, an increase of 43 per cent over January’s sales and an increase of 21 per cent over the 913 sales during February of last year. The Board posted 2,666 new listings last month, an increase of 3 per cent compared to the 2,582 posted during February of last year bringing the total number of active listings in February to 8,210 – 11 per cent more than were available in January and 8 per cent less than were available during February 2013. Werger adds, “Generally, we’re finding for all property types if they’re priced right there is a buyer; however, demand for single family detached homes and townhomes is the most consistent with certain pockets in Langley, Abbotsford and North Delta that are thriving, which is why prices for detached homes in those areas are either on par or elevated compared to last year. In February, the benchmark price of single family detached homes in the Fraser Valley was $558,100, an increase of 3.2 per cent compared to $540,900 during the same month last year. For townhouses, the benchmark price was $298,900, an increase of 0.7 per cent compared to $296,700 in February 2013 and the benchmark price of apartments was $193,200, a decrease of 4.6 per cent compared to $202,500 in February 2013. In February, it took on average 51 days to sell a detached home compared to 58 days in January. Townhomes took 55 days on average to sell compared to 60 days the month before and apartments spent an average of 70 days on the market in February compared to 86 days in January. 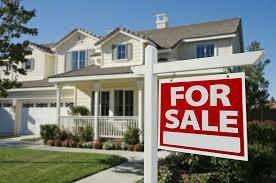 Ask us for more details about home prices and sales in your area!